I’ve had quite the month of indulgent food, and I really need to step away from the bread and the chocolate and eat healthily for a while to restore a bit of balance. But the problem is I just love good food, I can’t resist something comforting and delicious, and a miserable cucumber salad ain’t my kind of jam. 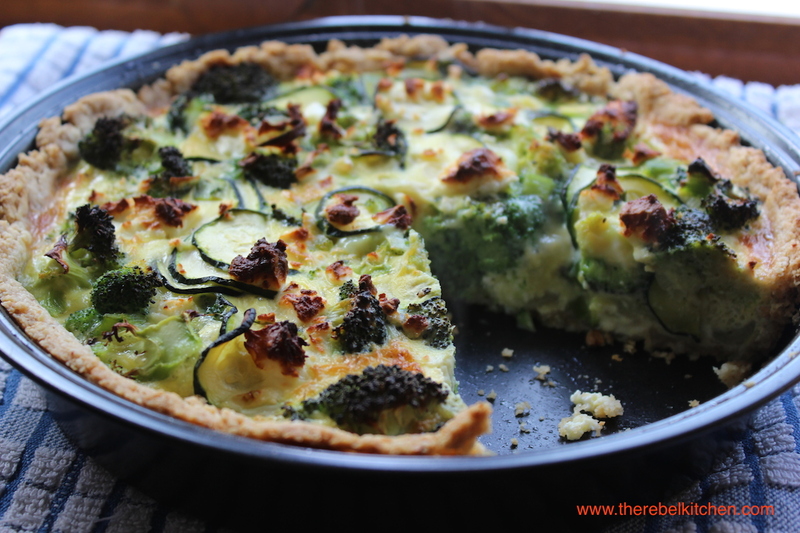 I had a total craving for quiche last weekend, I just wanted something rich and comforting with a crumbly, biscuity crust. 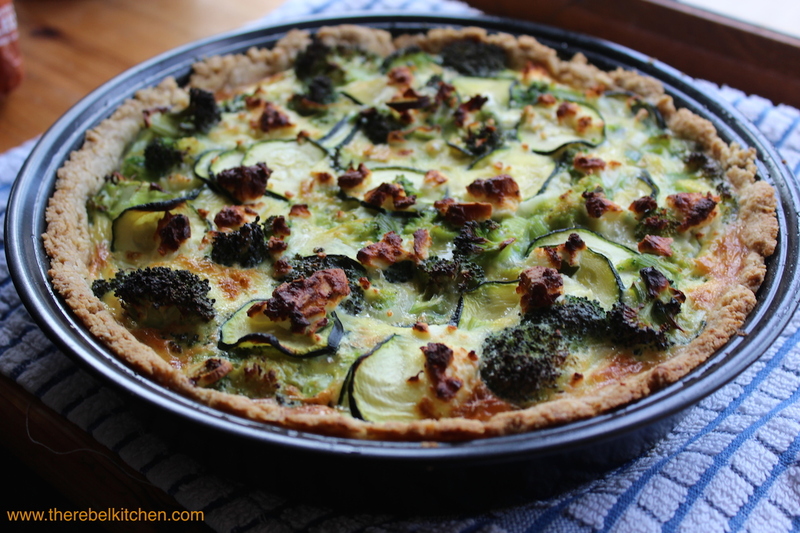 I decided to put my mind to it and make the most health freaky quiche that still tastes incredible… Sounds too good to be true, I know. 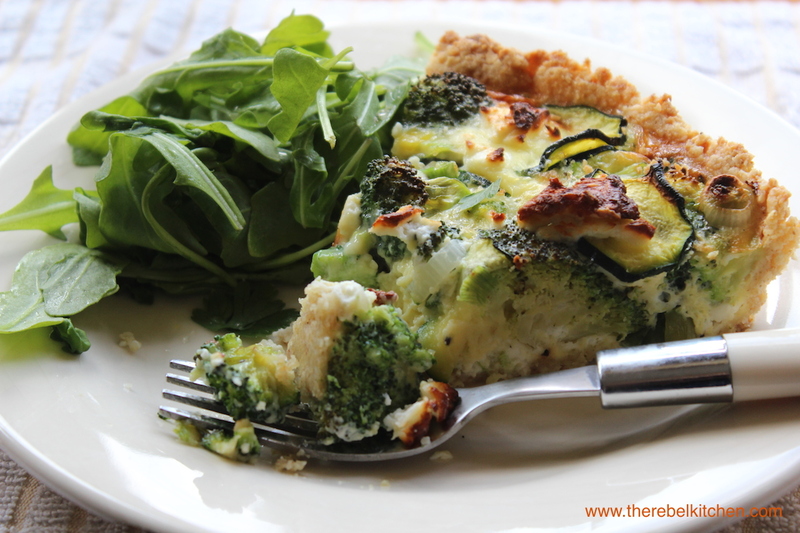 This quiche is filling and rich, yet surprisingly light (I know that makes no sense). 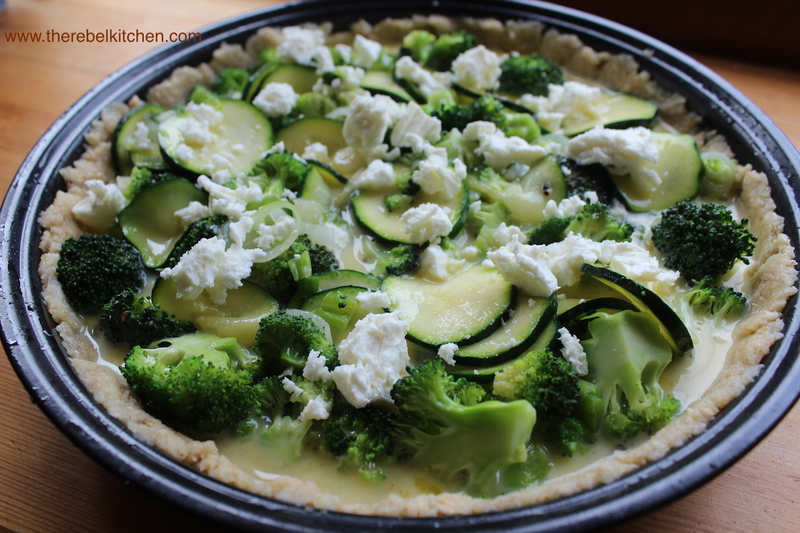 Packed with green goodness but with enough sharp feta it packs a nice punch. 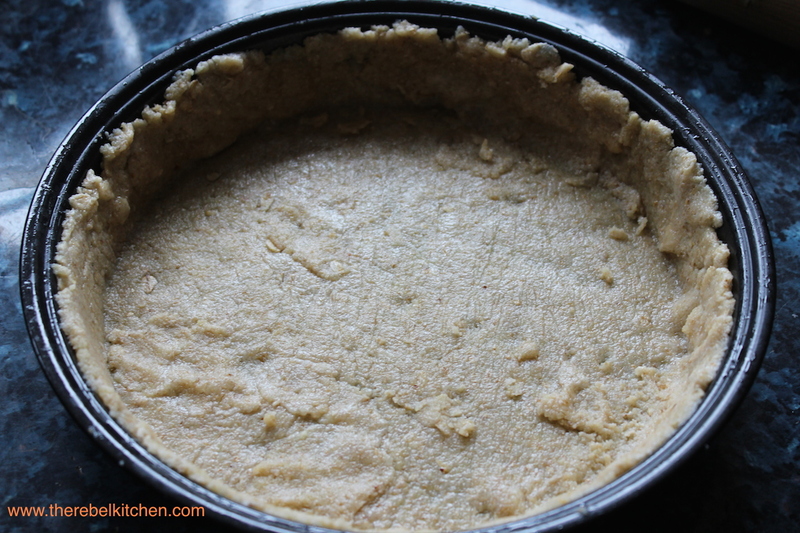 The crust was the experiment and thankfully worked out great, you could definitely use it for sweet tarts too. This is the perfect summer dish if you’re trying to be healthy, but like me are a bit of a glutton at heart. 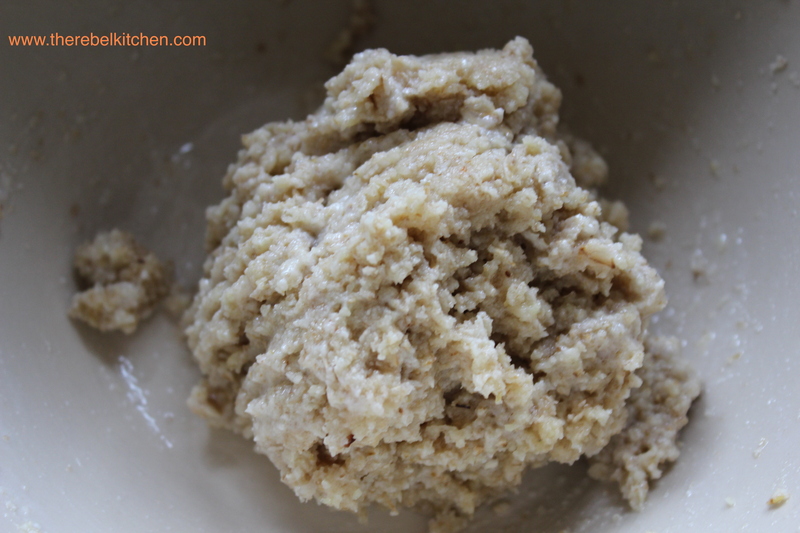 Blend the oats with a hand blender into a powder. Then throw in a mixing bowl with the ground almond, melted coconut oil and a pinch of salt, mix together with a spoon until it comes together. 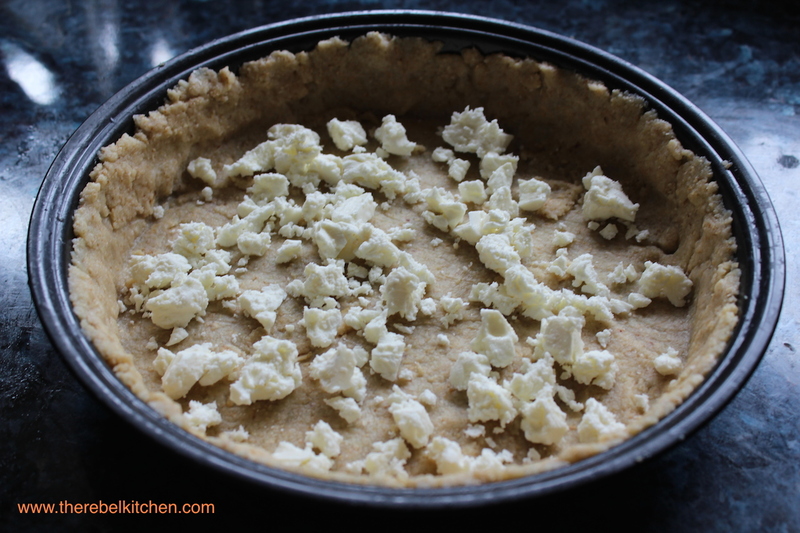 It will still be totally crumbly so don’t worry. Add in a few tablespoons of water and mix together more, this should help it come together so it’s combined. 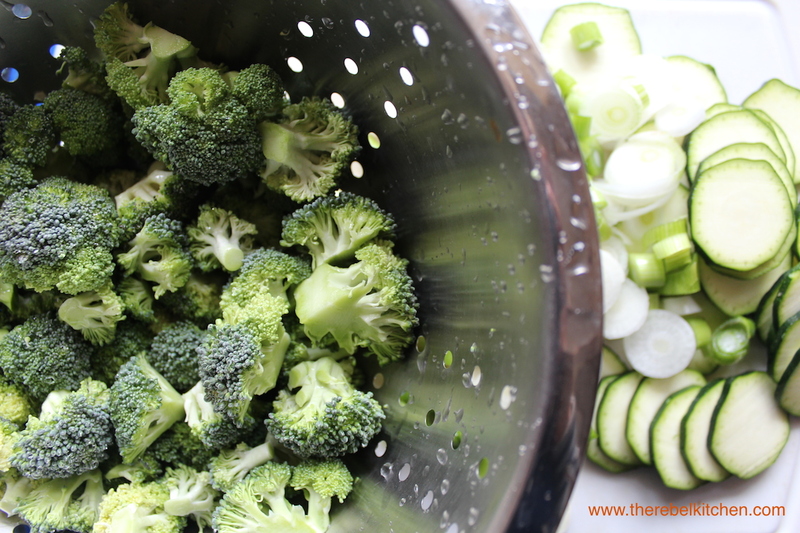 Chop the head of broccoli into little florets and slice the courgette and spring onions finely. Throw them all into a large pot with a little coconut oil, salt, pepper and a splash of water with the lid on, stir occasionally. You basically just want to soften these for 10 minutes, the steam from the water should keep them moist and turn them a vibrant green, they shouldn’t catch on the base of the pan. When just slightly soft take out of the pan and drain any excess water if there is any. Whisk the eggs in a bowl with a splash of milk and season with salt and pepper. 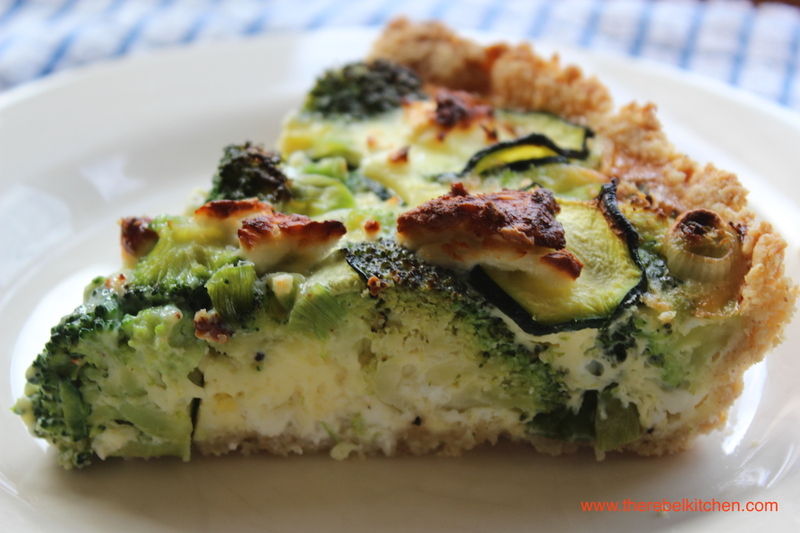 Sprinkle half your cheese on the base of the chilled quiche, then scatter your veggies and top up with the egg, sprinkle the remaining cheese on top. Throw into an oven preheated to 180C for 40 minutes. You can eat it hot from the oven with salad, or cold the next day for your lunch. Enjoy! I have recently been on holidays in Italy (yet again), drawn back by the lure of bread, cheese, pizza, pasta and gelato. I just love holidays in Italy, being able to chill out on a beautiful beach with a book, take breaks for ice-cream (it’s holidays okay…), dip into a seaside restaurant for fresh fish for lunch with a bottle of local wine, more sunbathing, then pre-dinner drinks followed by a big plate of fresh pasta heaped with seafood, butter, herbs and prawns, and more wine, and bread… Lots of bread. Okay I’m getting a little distracted and hungry again just thinking about it. 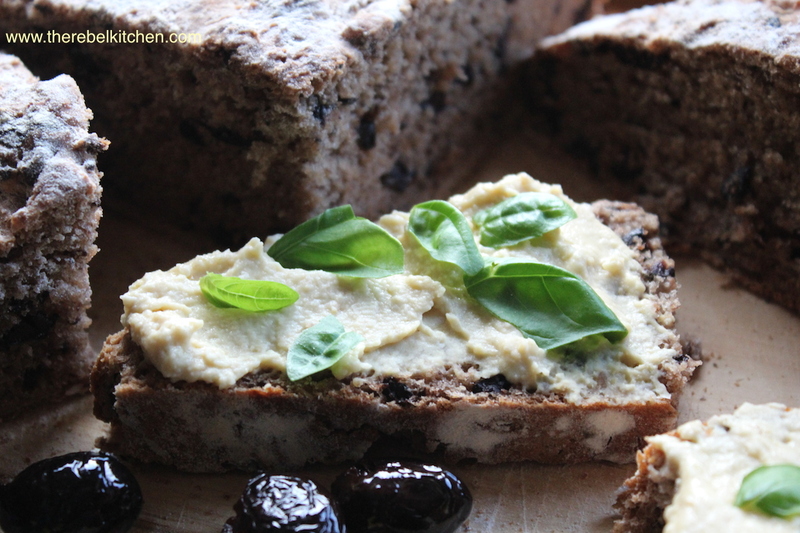 Beautiful Fresh Salty Olive Bread… Mmmmm! One of my favourite things to eat there is a Caprese salad with fresh, local buffalo mozzarella, juicy tomatoes and basil mopped up with crusty bread. While I was in Puglia I had some of the most incredible olive breads and decided that I had to make one as soon as I got back. So off to the market I trotted and filled up a bag of salty, black olives. 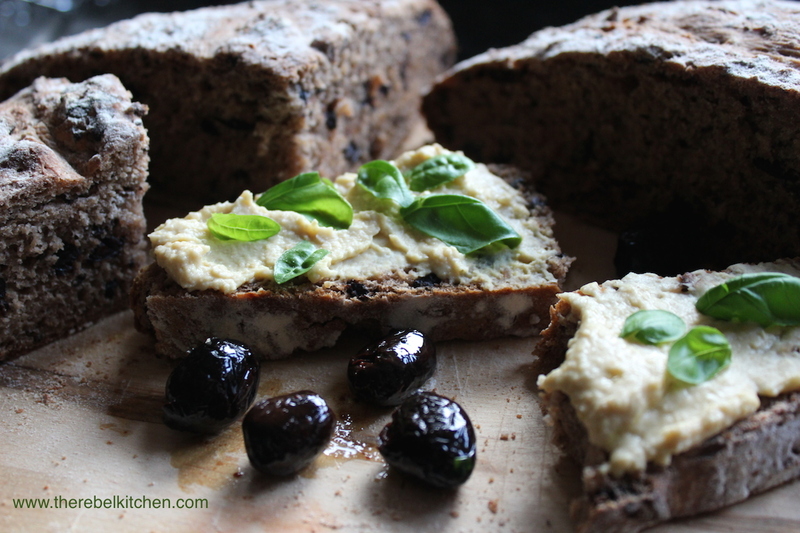 While my bread looks brown it’s actually white, all the kneading of the olives into the dough coloured it. 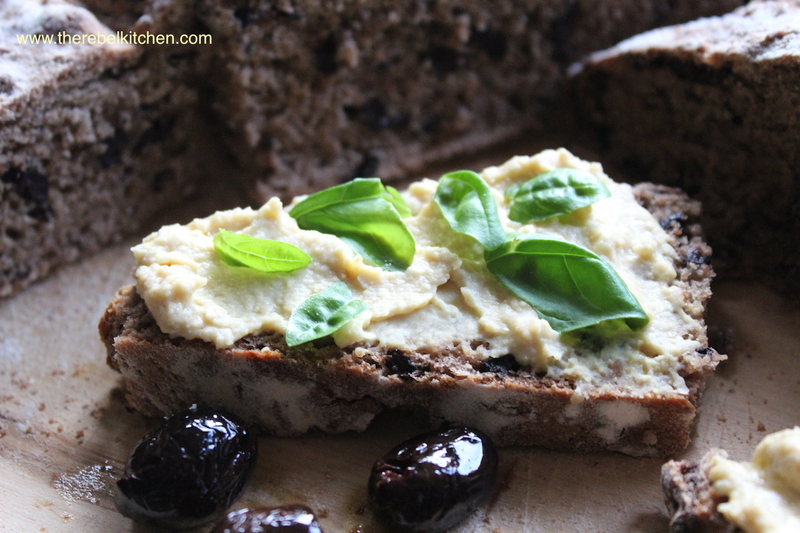 You could always add the olives into the bread after kneading for a dramatic contrast. 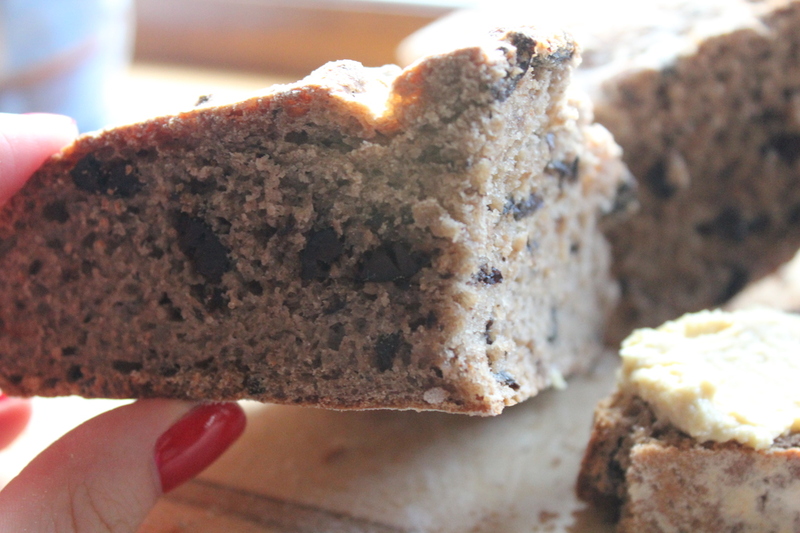 This bread is made using fast-action yeast and so is very quick and easy to make. Why not make it this weekend and enjoy it with some fresh mozzarella and a good bottle of red? 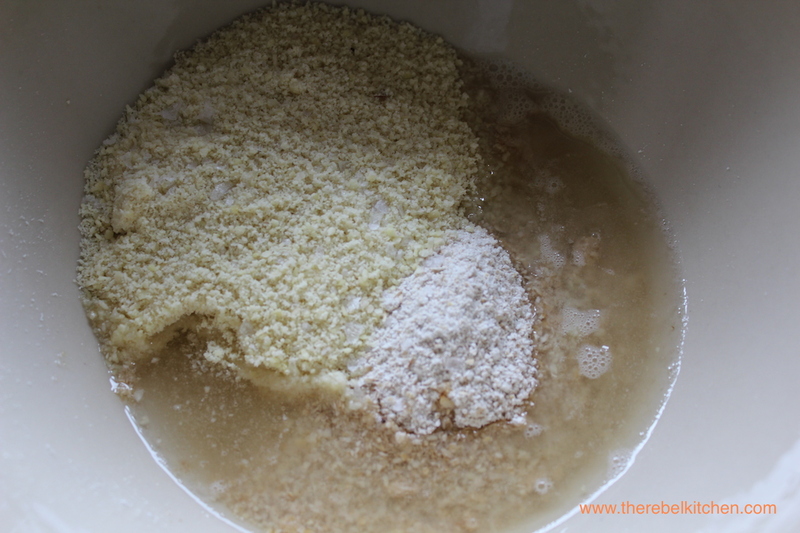 In a large bowl mix together the flour, sugar, salt and oil. Give it a quick stir and then stir in the yeast. Now stir in the water and stir for a minute until all ingredients are combined. 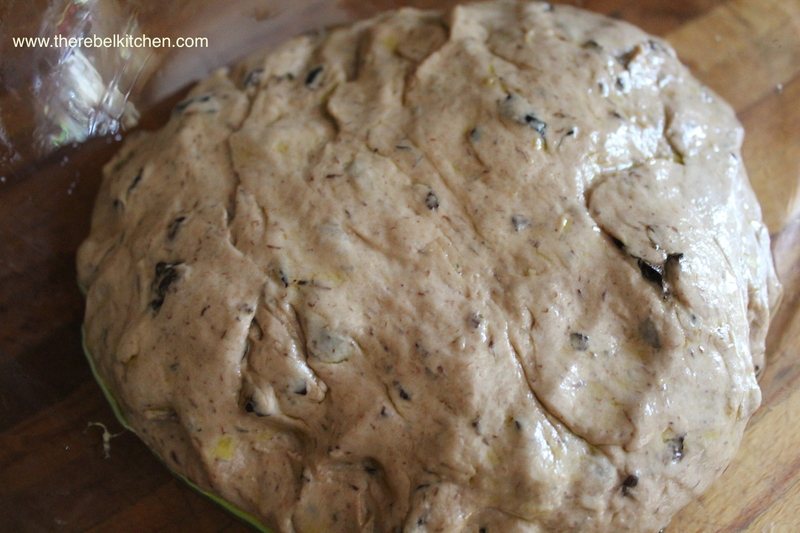 You can either add in the olives now, or after kneading so that the bread is less brown in colour. Knead the bread on a clean, floured surface for at least 10 minutes, or if you have an electric mixer with a dough hook you could throw it in that for half the time. 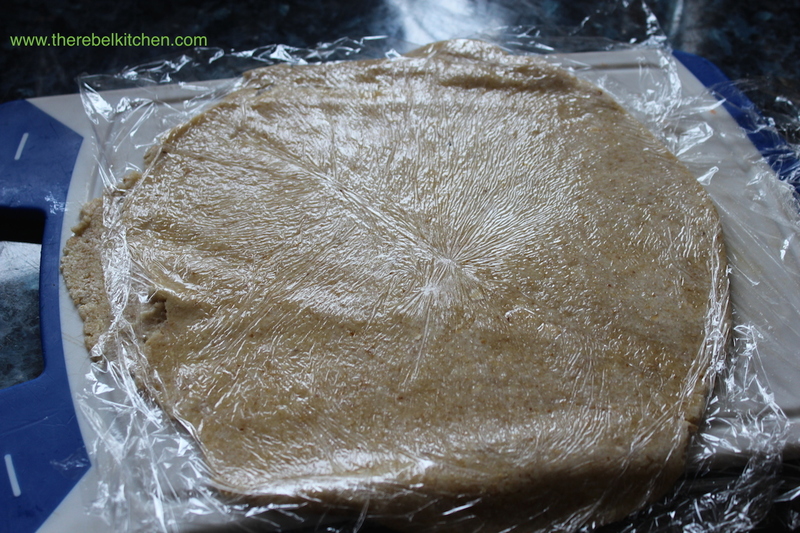 Shape the dough and coat it with a little olive oil. Pop it into an oiled bowl and cover in cling film. Leave it in a warm place until it has double in size which can take between 1.5 – 2 hours. 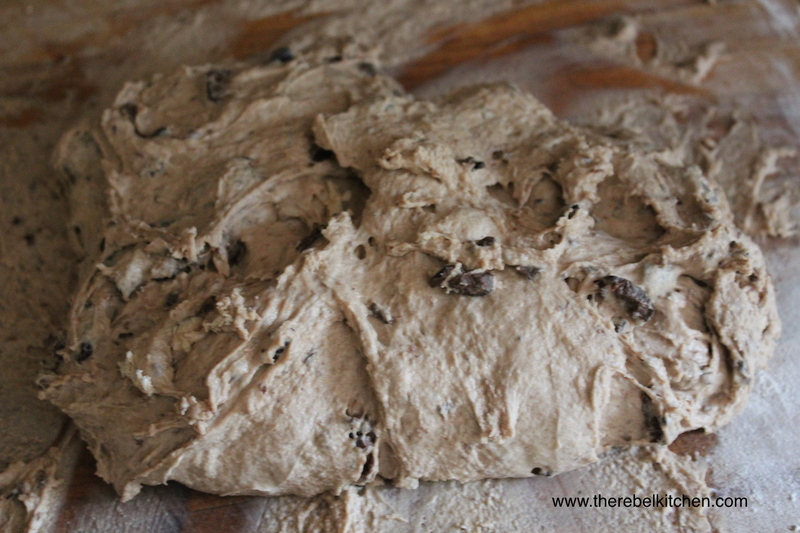 When the dough has risen bake in an oven, preheated to 220c for 35-40 minutes. A trick here is to throw a few ice cubs or half a glass of water into the oven 5 minutes before putting the bread in, the steam will help create a nice crust on the bread. I like to slash a blade or sharp knife across the top of the bread too before putting it in the oven to allow the steam to escape. The baked loaf should sound hollow when tapped underneath. 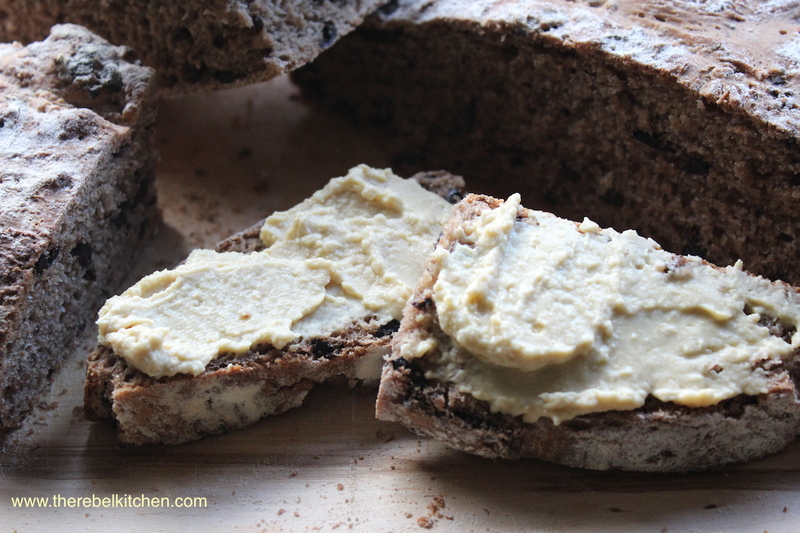 Let the bread cool on a wire rack and enjoy with some butter, cheese or hummus!